is host to some great public tastings this month! ...and is available for private functions! 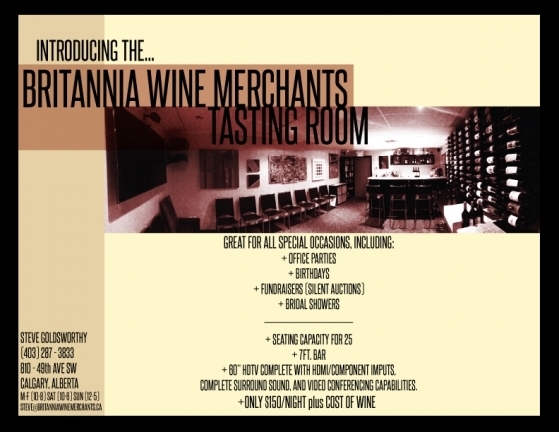 In the continuing quest to educate and entertain customers, Britannia Wine Merchants host free wine tastings every week. In addition, from time to time, admission paid special wine tastings are planned as more elaborate evening affairs, with customers sampling some of the more exotic products of the vintner’s art. Prices for special tastings vary depending on the offerings. Keep posted for more calendar updates to come.